1.Not easy to break: The impact resistance of the PC hollow sheet is very good, and there is no trace of the hammer. Because its impact strength is 30 times that of acrylic plate with the same thickness and 250 to 300 times that of ordinary glass. 2.High transmittance: The transmittance of hollow sheet can be said to be equal to that of glass, and its transmittance can reach 90%. Moreover, its UV coated panels are still good in light transmittance after long exposure to the sun, and there will be no yellowing and other phenomena. Even after ten years, the loss rate of the hollow sheet is only 10%. 3.Cost savings: Hollow sheets are very light in weight, which can greatly save transportation costs. 4.Blocking the destruction of ultraviolet rays: Hollow sheets can prevent the destruction of ultraviolet rays and protect valuables. 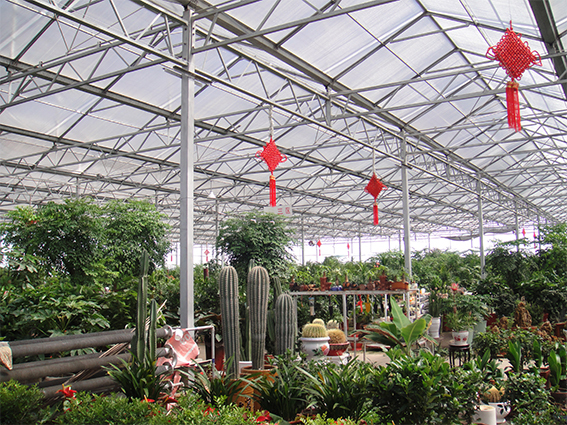 Because there are anti-UV coating and anti-condensation treatment on the sunshine board, it can not only block ultraviolet rays, but also insulate and prevent fog.